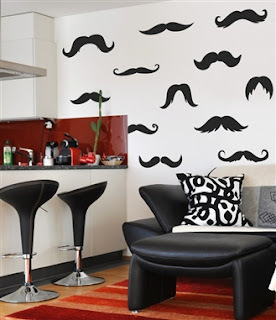 WALLTAT has just unveiled its Fall 2012 collection of wall decals that includes versatile patterns, wall quotes to coordinate perfectly with any interior. This is our most exciting collection yet because it gives customers even more flexibility in their design choices. Rather than choosing a single design there are now packages of patterns, borders and shapes that can be joined together or positioned apart to span an entire wall. The packs can also serve as room borders or accents around doors, windows or furniture pieces. The perfect, affordable solution in creating focal points in any home improvement project. Among the most popular designs of the new collection is the Ironic Mustache Set, which consists of a collection of 12 varying mustache styles. This quirky and humorous design has proven to be a conversation starter. 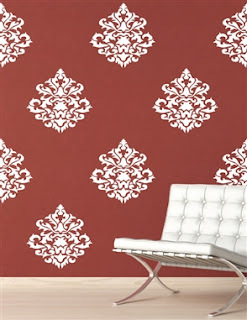 Other favorites are the Room Border Set, the Trellis Pattern and the Damask Accent. 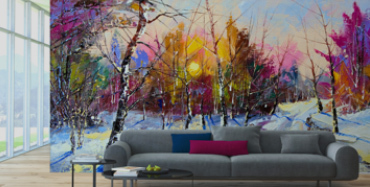 Installations can vary from vertical rows or horizontal strips or linked together serving as a modern wallpaper alternative. These new wall decal packs offer even more versatility to our customers, so they can easily position stylish patterns to best fit their wall shape and size. Another highlight of the fall collection is the addition of Wall Quotes, an entirely new category of popular sayings, famous quotes, custom monograms, names and lettering. 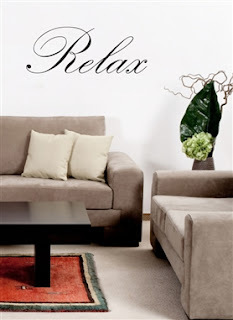 Inspirational quotes from Buddha, Mother Theresa and other popular sayings such as "Sweet Dreams", "Relax" and "Once Upon a Time" that may suit any home or office setting in need of that added touch. We are really proud to have rolled out such a successful collection of new products, categories and color offerings in 2012. Starting early 2013 we will have even more exciting news and services to share with all of you wonderful DIY fans.